Facing Charges for Domestic Violence? Fight These Charges & Protect Your Future Because an Arrest Is NOT the Same as A Conviction. Our Only Focus Is Domestic Violence and We Provide Our Clients Custom Tailored Representation and A Hawkish Defense Strategy. Domestic Violence Attorney provides reliable, high-quality, and experienced representation for those accused of misdemeanor or felony charges in the arena of domestic violence. Regardless of the charges and the facts involved, we consider protecting the accused a noble profession and critical to protecting the foundation of our criminal justice system. Our legal team believes a strong criminal defense is essential to preserving the significance of our nation’s constitution. This philosophy leads us to put both our heart and soul in every one of our client’s cases. We represent every single one of our clients with the highest standard of care – regardless of the obstacles or challenges a particular case might present. Our team meticulously evaluates every single detail of their cases – so that we may fully explore and pursue every available legal defense – keeping an eye out for all possible procedural or substantive openings that may benefit our client. In addition, Domestic Violence Attorney makes the extra effort to educate and persuade the prosecutor about the various nuances, complexities, and inconsistencies of their case so that the weaknesses of their cases are clearly outlined. After doing so, we then ruthlessly fights for a disposition that is most favorable for the client considering the surrounding circumstances. Our lead attorney is an experienced negotiator and litigator. Domestic Violence Attorney fights for you from all the angles of your case during every single stage of criminal prosecution. Using our vast array of litigation skills, the lead attorney will investigate the nuances of your case, prepare and file any and all substantive and procedural motions, and make sure that you are provided the full protection of due process. Using our vast array of negotiation skills, they will point out the weaknesses in the prosecutor’s case so as to attain the most favorable disposition possible on your behalf. If a plea bargain cannot be reached, we will relentlessly prepare for trial. Domestic Violence Attorney are skilled and experienced trial lawyers. Many criminal defense attorneys may negotiate or litigate on your behalf. But when it comes to the question of trial, they fall back and shirk from the responsibility. Consequently, they do not prepare your case as if trial is a possibility looming in the distance. Therefore, in situations that do, they are woefully unprepared. Prosecutors are aware of this and offer much less favorable dispositions as a result. Fortunately, our team possesses all the skills necessary to carry a case from the beginning stages through the end of trial. Prosecutors know our attorneys always prepare a case as if it was going to trial. And although we would never take a case to trial unless every measure to obtain a favorable plea bargain has been exhausted, they know we possesses a strong set of advocacy skills to convince a jury to see the facts as we present them. Our team is highly respected by prosecutors and judges. Most cases settle before trial. Therefore, when making a decision to hire a domestic violence criminal defense attorney, you want someone representing you who is respected by the people who have power over your case. 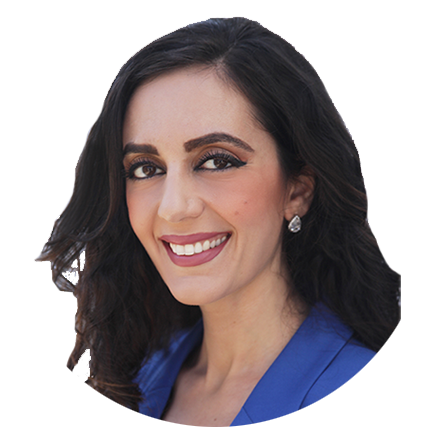 Prosecutors and judges throughout the Southern California area know our lead attorney Negin Yamini to be a fierce, tenacious, and skilled legal advocate. Her reputation has helped her procure favorable outcomes in many cases. Domestic Violence Attorney are meticulous and detailed-oriented advocates. From the very beginning of a case, we diligently investigate the details and nuances of your case. We do not rely on the police’s version of the facts but conduct our own investigation. In turn, our team are able to present an argument on your behalf that is fair and just. Our team constructs and develops a defense that is specifically tailored to your case. An individualized defense is critical to obtaining a maximally favorable outcome. It may be the case that your situation has neither the facts nor law on your side. In this scenario, Domestic Violence Attorney constructs a defense focused on rehabilitation. We design our arguments to appeal to the sense of compassion of the jury, prosecutor, and judges. If your case contains substantive or procedural obstacles, our lead attorney will leverage these obstacles to convince the judge or prosecutor to provide you with a more favorable disposition. By taking the time and energy to understand the specific facts of your case, we are able to design a strategy that benefits you in the strongest way possible. We examine your case from every angle. Your lead attorney will review your case from every angle – leaving no strategy or course of action unexamined. we will investigate your case – seeking and procuring all information that will benefit your case. By being thorough and meticulous, we are able to fight for a favorable outcome in every stage of criminal prosecution. Our Domestic Violence Attorney is proactive. We don’t just wait for the judicial system to run its natural course. Our legal team takes control of your case and dictates the terms throughout the criminal justice process. This means we won’t just wait for a prosecutor to offer a plea bargain or allow the police’s version of the facts to dictate the story. Rather, we will conduct our own investigation of the facts. Domestic Violence Attorney will relentlessly argue and push for a favorable plea bargain. And we always prepare as if a case is going to trial so that we are always fully prepared for any turn or twist that may happen. Our lead attorney personally handles your case throughout the criminal justice process. If you hire Domestic Violence Attorney, you can rest assured that we will be in full control of your case from the beginning to the end. Whether preparing motions or appearing in court, the lead attorney personally handles every substantive or procedural task involved in your case. Our team will hold your hand throughout the process. The criminal justice system can be complex, scary, and confusing – especially in cases involving domestic violence. It is important have an attorney that will walk you through the process. Our lead attorneys are always available to answer your questions and to discuss concerns. We will keep you informed throughout the process on the status of your case. And we will help keep you calm and collected so that you can make wise decisions amidst the daunting process. Our Domestic Violence Attorney offers the highest standard. High quality representation does not mean you have to pay unreasonable costs. It is our philosophy that everyone has a right to a high standard of effective representation. For this reason, Domestic Violence Attorney offers our respected and unbeatable legal services at reasonable and affordable rates. Most domestic violence cases begin when a supposed victim calls 911 for assistance. The 911 call is also commonly made by a neighbor, friend, family member, or even a passerby. When the police officers arrive to the scene of a disturbance, they typically start their investigation by interviewing the people involved in the conflict and any witnesses. By doing so, the police are trying to figure out which person is the aggressor. They are also trying to figure out the extent of any injuries and to determine whether the incident was an incidence of domestic violence, as opposed to simply a loud argument. Upon making this decision, the police will make a determination regarding who should be arrested and pursued for domestic violence charges. The process described above is what should occur. However, in real life, the actual process will not be so cleanly conducted. Police officers go into an investigation with pre-conceptions that somebody is at fault and that somebody needs to be punished – even though what actually happened was just a simple argument between two partners. They make big assumptions about how the incident occurred and who is responsible. These assumptions are problematic because they prevent the police officers from conducting a detailed, unbiased, and complete investigation. Rather, they write their problematic conclusions into the police report. A trained domestic violence attorney can meticulously review the investigation and look for holes in the evidence. A domestic violence attorney will look at the number of police officers who arrived on the scene, who interviewed which person involved, how the interview was recorded, and keep an eye out for any discrepancies. Your domestic violence attorney will also compare the police report with witness statements to identify any inconsistencies or holes in the record. Your domestic violence attorney can use these incongruities to earn a better result for your case. After the police officers make a decision regarding who the aggressor is, they will arrest that person and take them into custody. Due to shoddy and deficient investigation, it is not uncommon for the victim to be unjustly labeled the aggressor. After making a determination about who is the aggressor, the police will record their findings in a police report and also suggest to the prosecutor whether a felony or a misdemeanor should be charged. This decision is made on the particular facts of the case and how injured the supposed victims are. Typically, if you are arrested for a misdemeanor, you will be given a citation and be given a court date in the future in which you must appear. However, if you are arrested for a felony, then you could be required to stay in custody, pay bail, or be released until your next court hearing. The period of time after the arrest and before formal charges are filed is called the “pre-filing stage.” During the pre-filing stage, the police officers finish their investigations, interview witnesses, and complete the recording of their determinations in the police report – which is then turned over to the particular agency in charge of prosecuting your case. Typically, there is a gap of time between the arrest and when the police turn in the report to the prosecutor. In this time, it is very important that your domestic violence attorney conduct his or her own investigation. This is because you cannot rely on the police’s version of the events and you also want to establish a more fully formed picture of what actually happened. Contingent on what your domestic violence attorney finds during their investigation, they might be able to convince the prosecutor from charging you with formal charges. However, this is uncommon. Police officers tend not to be open to attorney accusations. Regardless, the defense-led investigation is critical in setting the trajectory for your case. Without an independent exploration of the facts, you will be at mercy of the facts set by the police and the prosecutor. Complaint/Charging document: Even though you have been arrested, at this point you have not yet been formally charged with any crimes. This is done when the police turn over a copy of the police report to the city attorney or district attorney’s office. A city attorney is a prosecutor that handles misdemeanor cases, while the district attorney is a prosecutor that handles mainly felony cases. The prosecutor, usually a filing deputy whose main job is to review cases, examines the police report and makes a decision about what charges, if any, you should be charged with. This is a good point in time for your domestic violence attorney to get in touch with the prosecutor assigned to your case. The research and investigation that your domestic violence attorney conducted might lead to a different slant on the evidence than that presented by the police report. Providing this information early could convince the city attorney or district attorney from filing formal charges against you or reducing the severity of the charges. If you are facing domestic violence charges that are only misdemeanors, then you might be eligible for a city attorney hearing. A city attorney hearing is an informal meeting between you, your domestic violence attorney, the supposed victim, and a city attorney specifically designated to perform such hearings (hearing officer). City attorney hearings are held so there can be discussion regarding settling your pending criminal case. They are usually held when the prosecutor’s case against you is somewhat questionable or if it is determined that it is best to proceed through informal methods rather than conduct a full-scale criminal investigation. Upon hearing all the parties, if the hearing officer decides that the parties are dedicated to a mutually agreed plan of action to prevent a domestic dispute in the future, then the case against you will be discharged. However, the hearing officer could decide that a settlement is not possible and recommend that the criminal investigation against you proceed. They also have the option of recommending to the city attorney’s office that the investigation against you remain open, but on pause for a period of a year till the case could potentially be dismissed. Because it is possible that your case might be dismissed, the city attorney hearing is a good opportunity for your domestic violence attorney to prevent your case from moving to a more formal investigation. This can be done by recruiting and preparing witnesses on your behalf, building and arguing your defenses, and assembling and highlight extenuating factors for why you may have been involved in the relevant domestic violence dispute. The Arraignment: An “arraignment” is the legal term given for the first time you make a court appearance after charges have been formally filed against you. At the arraignment, the judge informs you of your constitutional rights, you are given a copy of the police report and the complaint (which is the formal document listing the charges against you, and you are required to submit a plea of either guilty or not guilty. You would only submit a plea of guilty if your domestic violence attorney and the prosecutor have negotiated a plea agreement. And then, only if you fully understand the consequences of the plea agreement and you also agree to the terms and conditions. After you enter your plea, the judge adjudicates whether or not you should be given bail. This decision is made based on the specific circumstances of the crime that you are accused of committing. For example, if the supposed victim was significantly injured this will affect the bail decision. It is also based on your past criminal history. If it is determined that bail should be set, then the judge will adjudicate upon on what value of money bail should be held at. The amount at which bail is set is based upon the same factors above plus a recommendation by the legislature. For many California domestic violence charges, the legislature makes a suggestion on what bail should be set for which charges. Throughout the bail determination portion of the arraignment, your domestic violence attorney will present arguments on your behalf. Your domestic violence attorney can also request a separate bail hearing in which they can present to the court mitigating factors that could persuade the judge to reduce bail, keep bail at the legislature recommended amount, or even release you. In addition to the bail determination aspect of the arraignment, the judge will also make a decision regarding a protective order. If enacted, the protective order would require you to abstain from any sort of contact with the supposed victim while the case is ongoing. This can create many issues for couples who live together or have children. Your domestic violence attorney can request that the protective order only prohibit harmful contact – such as stalking – between you and the suppose victim. Whether the judge agrees to this depends on the specific facts of your case, your criminal history, and your reasons for the contact. Pre-Trial Conference: The pretrial conference is actually a series of hearings that occur before the actual trial. It is during this time that your domestic violence attorney can negotiate formally with the city or district attorney about the charges filed against you. Even at this point, your domestic violence attorney can advocate on your behalf to remove any provisions in the protective order that prevent you from seeing the supposed victim or your family. At this point in the domestic violence proceedings, it is important that your attorney begin building the defense on your behalf. By presenting strong evidence and arguments on your behalf, either in negotiations with the prosecutor or in open court, the better opportunities you will have to gain a more favorable result in your case. If your domestic violence attorney and the prosecutor can reach a settlement, and you agree to the terms and conditions of that settlement, then the proceedings will be ended at the pre-trial stage. If no agreement is reached, the case will move to trial. In general, over 95 percent of criminal cases are concluded through a plea bargain. Pretrial motions: After a trial date is set by the judge, your domestic violence attorney will present motions to the court arguing for or against the admission of certain evidence at trial. A motion is a formal way of presenting a legal request to the judge. These pretrial motions regarding the admissibility of evidence can make or break your domestic violence case. For example, your domestic violence attorney may file a motion requesting the judge to exclude the supposed victim’s 911 call. On the other hand, your domestic violence attorney may try to get the supposed victim’s history of making false emergency calls to be admissible evidence during trial. Trial: This is the point of the proceedings where the prosecutor and your domestic violence attorney present their cases to a jury. The arguments that can be presented depend highly on the pretrial motions, which may request evidence to be included or excluded. A jury consists of a group of your “peers.” Remember, the prosecutor must have proved his case beyond a reasonable doubt. If they are unable to do that, your case will be dismissed. If the jury finds you guilty, then you will be convicted and proceed to a sentencing phase of the trial. Your domestic violence attorney can present arguments to the judge or negotiate with the prosecutor about the sentence. Depending on the particular case, you could be sentenced with anything between probation to prison time. There are so many steps to a domestic violence case. Where do I start? If you are facing accusations of domestic violence, you should call a Domestic Violence Attorney immediately. We invite you to contact the team at Domestic Violence Attorney for a free legal consultation. Take advantage of our years of experience with a confidential phone call to 424-276-6060. 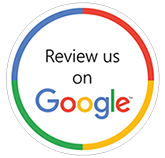 We will gladly examine your specific situations and advise you on how to proceed.